If you're serious about DIY, there's one tool you can't do without, and that's a saw. But with so many available, knowing the right one for your needs isn't cut and dry. Before making a purchase, it's important to understand the different choices, and functions they offer. Because at Home Timber & Hardware, we reckon if it's worth doing, it's worth doing properly. Watch the video via the link above or read through our guide below. A jigsaw is a great all-rounder when it comes to power saws. It can cut curves, shapes, angles and straight lines in all sorts of materials – like metal, wood, plastic, ceramic, glass, masonry and plaster. A jigsaw really comes into its own when you need to cut a hole out of an existing surface, such as cutting a square out of a benchtop to hold a sink. DIYers love jigsaws for their portability and versatility, as they’re lightweight, easy to manoeuvre and achieve great results. They come in single-speed and more advanced models – have a think about what cutting jobs you’re likely to do with your jigsaw and select accordingly. You can interchange blades on your jigsaw, with standard blades capable of cutting through most timbers, and specialised blades available for other materials. Meet the workhorse of power saws. 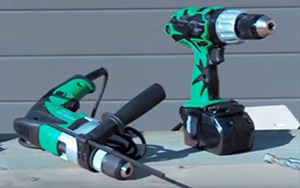 The reciprocating saw is very popular with more serious DIYers that have a demolition job coming up; or with gardeners that need to do some hard-core branch lopping. These saws are great for cutting overhead, vertically or in tight spaces. Heavier to handle than a jigsaw (you’ll need both hands), reciprocating saws have more power but are certainly not chosen for their precision! That’s why they’re so popular for garden and demolition projects. The oscillating ‘push and pull’ motion of the blade on a reciprocating saw means that it can cut through thick materials faster; and most come with variable speeds to give you more control over the cuts you make. Again, you can mix and match blade types on your reciprocal saw, to cut through everything from wood to metal or plastic. Probably the most common saw found in Australian homes, the circular saw is enduringly popular for its ability to cut pieces of wood to size. 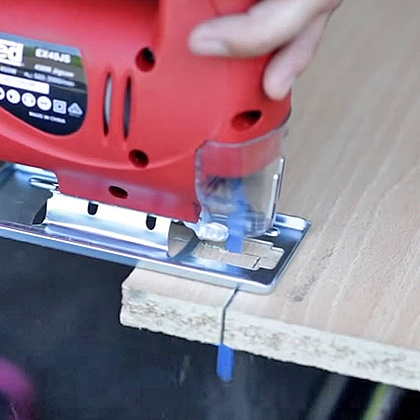 Use it to slice neatly through MDF, plywood, kitchen benchtops and decking – and slash the time spent preparing for your next timber construction, whatever it may be. 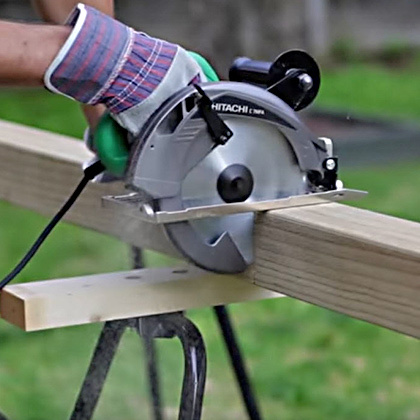 Depending on how precise you want your cuts to be, you can use a circular saw freehand or mounted in a saw table. Either way, they are known for their precision, and will produce straight cuts in your timber time and time again. 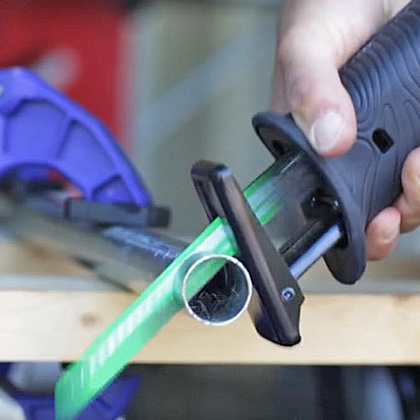 These days, you can fit different blades to your circular saw to cut through bricks and concrete, too. 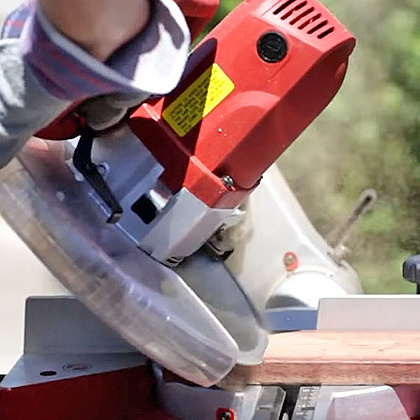 In the same family as the circular saw, the mitre saw offers a few more features and generally offers more precision. It can make cross, mitre and bevel cuts in hardwoods and softwoods, plastic and metals. With this in mind, a mitre saw is great for making picture frames or cutting mouldings or window frames around the home. Given its more specific application, the mitre saw is only going to pay dividends if you’ve got these more specific cutting jobs on your to-do list.